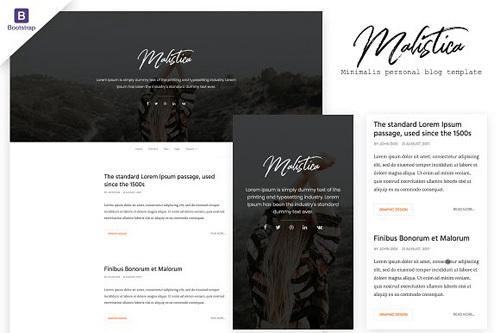 Malistica�is simple, minimalis, and powerfull html for personal blog template. Focus on design and text, easy to read. This template is build with Bootstrap 3, so fully responsive and mobile first.